NASHVILLE – Senator Bill Frist, chairman and founder of the State Collaborative on Reforming Education (SCORE), announced today a leadership transition at the nonprofit advocacy organization to ensure a decade of progress in Tennessee student achievement is supported and extended far into the future. 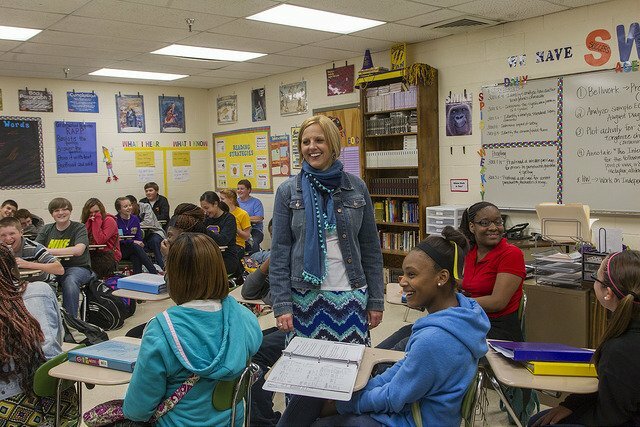 During Woodson’s leadership at SCORE, Tennessee became the fastest-improving state for student achievement, and the organization has been considered a national leader in student-focused policy and advocacy. SCORE dramatically increased its initiatives and projects, launching the SCORE Prize, which has celebrated and elevated high-performing schools and districts, creating the Tennessee Educator Fellowship, which has served more than 185 teacher-leaders, supporting the LIFT Education network of student-centered district leaders, and convening stakeholders to explore how to continue advancing student achievement. Mansouri first joined SCORE in 2010 and has since served in multiple roles leading advocacy, communications, and outreach efforts, as well as policy and research. Since 2014, he has served on SCORE’s executive team, where he led the implementation of SCORE’s strategic plan, directing all programs and initiatives, as well as overseeing the organization’s financial and operational efforts. Mansouri previously worked in political consulting and public relations, providing clients and candidates with public affairs consulting, issue advocacy support, and campaign and communications strategy. Earlier, he worked for the late U.S. Senator Fred Thompson. After attending public schools in Tennessee, Mansouri earned a BA from Rice University, and later received an MBA with honors from the Owen Graduate School of Management at Vanderbilt University. He is a founding board member of Nashville Classical Charter School, was a member of the Class IV cohort of Leadership Tennessee, and is currently a Pahara-Aspen Fellow, a fellowship which seeks to strengthen and sustain diverse, high potential leaders who are reimagining public education.